Until this unit moves, it gets +1/+1 defense. 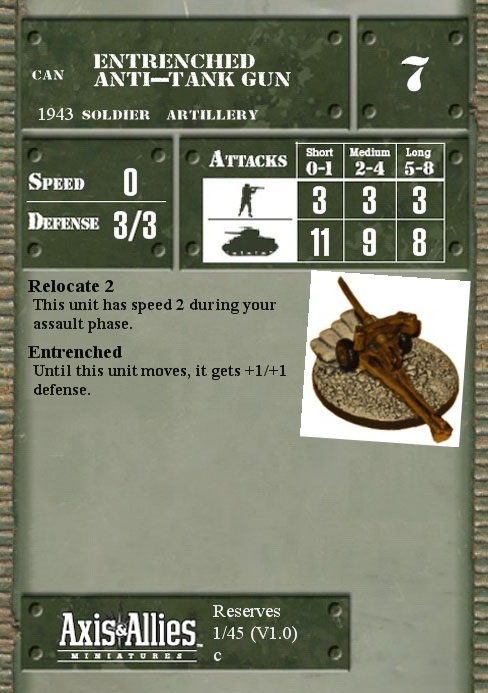 Q: If a unit with the entrenched SA starts the game loaded in a vehicle and then unloads during the movement phase, does that count as movement and cause it to lose the benefit of its' SA? A: Once it dismounts it has moved and no longer receives the benefit of the Entrenched SA.